Rick Ruggles has captured thousands of images of heart shapes exactly as he discovered them. 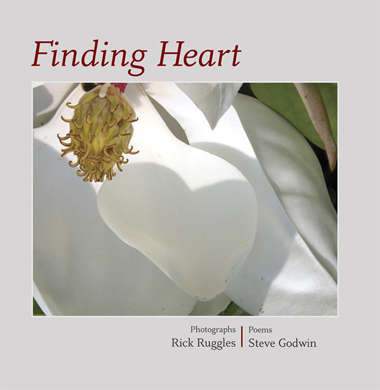 The poetry by Steve Godwin is built loosely on the theme of the heart, and imaginatively responds to the images, playing on visual metaphor and exploring narrative possibilities. by Cheri Bianchini, RN, BSN, PHN. 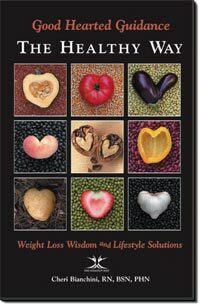 Easy to read and implement: food facts, motivation tips, strategies for men, women and children, body image issues, exercise and much more. Featuring Found Heart cover and chapter images. This book is an affirmation to love. 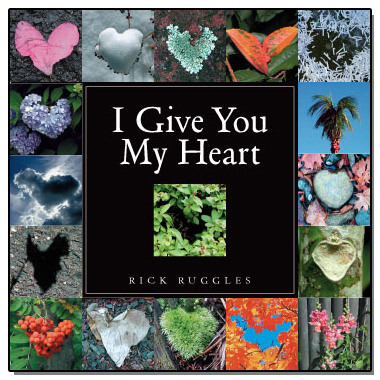 Rick's found heart images are paired with words of love: �I give you my heart...innocently...warmly...blissfully..! Original and beautiful, this little book is the perfect gift for couples, friends, loved ones, photographers and nature lovers. Out of Print-- this book may be available used through book vendors such as Alibris or Amazon.